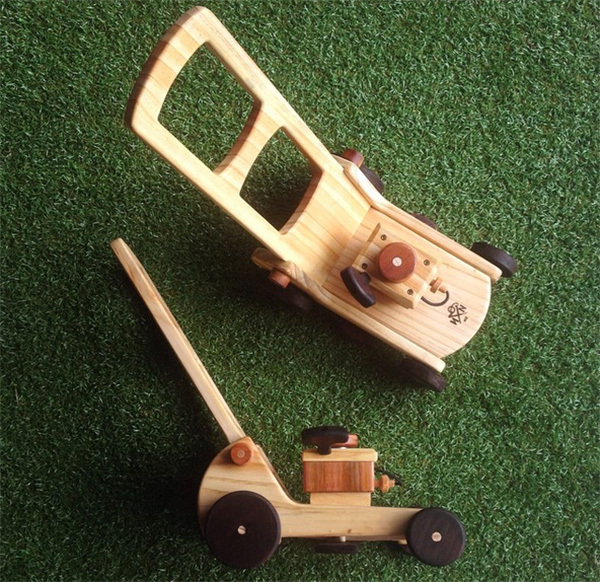 In a playroom filled with bright plastic toys with all the associated bells and whistles, wooden toys are akin to a step back in time when imaginations reigned supreme. And boy do I love them. Husband and wife duo Jeremy and Dee Rolsten are the talented family team behind New Zealand brand Needle & Nail. Dee says of Jeremy that he is a ‘genius with wood’ and with just one look at these magnificent wooden toys, I wholeheartedly agree. The Wooden Sewing Machine (NZ$89) is perfect for any would-be seamstress, complete with spool. 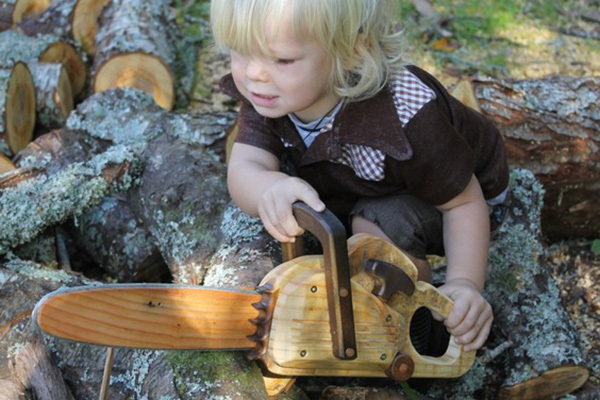 Keen landscapers will adore tinkering with the Wooden Chainsaw (NZ$69) and Wooden Toy Lawnmower (NZ$119) which doubles as a unique walker. 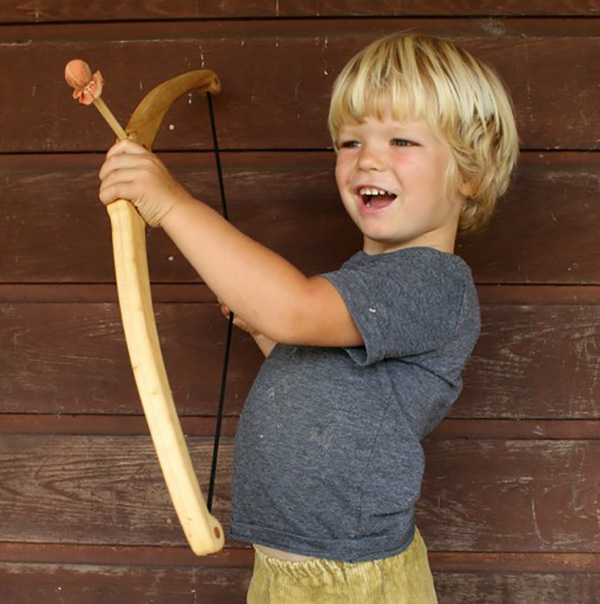 Little adventurers who spend every spare minute romping around the backyard might like to try their hand at a bit of archery style sport with Needle & Nail’s Bow and Arrow Set (NZ$49) – rest assured the two included arrows are soft, deeming both the windows and your family pet reasonably safe. 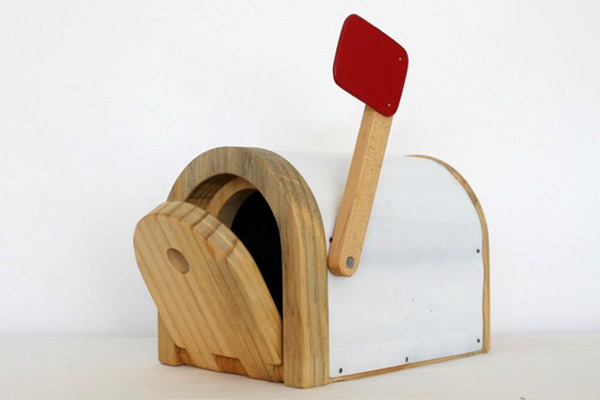 My favourite piece though is the unsuspecting but ridiculously cute, hinge door and red flagged Mini Mailbox (NZ$69). Available in three colours, it’s perfect for kids of all ages for sweet notes and housing treasures or even pocket money. Clearly toys that are built to last, the level and quality of Needle & Nail’s craftsmanship is phenomenal – such amazing toys are destined for family heirlooms. Visit Needle & Nail to see the whole collection. This wonderful crew happily ship to Australia so you’re free to order what the heart fancies!